Sam Gamble was laid to rest today, May 8, in Clearwater, FL at Bay Pines National Military Cemetery. He deserves special honors for his well-earned DFC while flying in Vietnam. 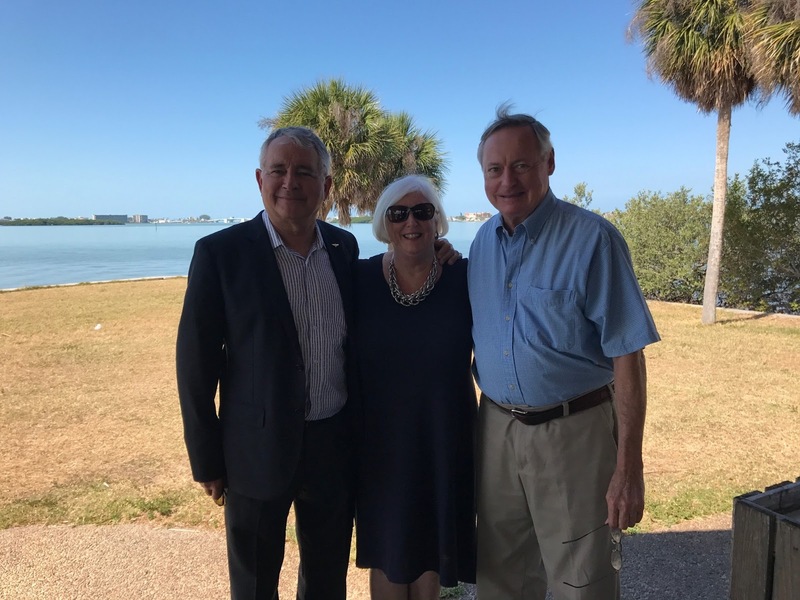 The picture below is of John Eckert, Barb Gamble, and Jim Satory. ............................... I would like to inform some of the pilots and Delta employees who might be interested. by email at bgamble77@gmail.com and/or by phone at (352) 871-2072. Sam Gamble, age 77, quietly passed away surrounded by loved ones on March 17, 2017. His long struggle with diseases of the heart, lung and kidneys were over. He was born in Ozark, AL to Lola and Horace Gamble on March 11, 1940. After graduating high school in Lanette AL; Sam attended GA Tech thus graduating with a degree in Industrial Management. 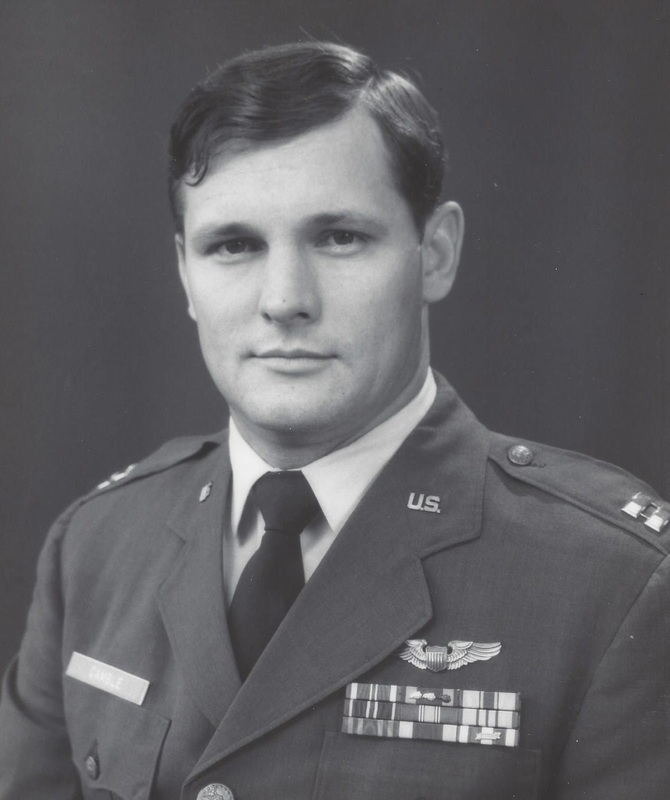 He served a tour of duty with the U.S. Air Force becoming a military pilot flying F102s in Viet Nam. 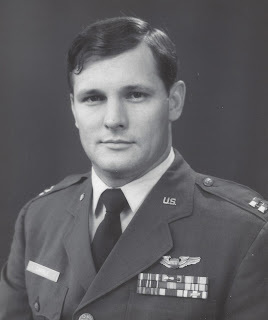 After his tour, Sam became an Air Force instructor and was also in the Air National Guard. With a dedicated love for aviation; he went on to have a career as a Captain with Delta Airlines from 1970 until retirement in March 2000. He was based in Houston, Chicago and Cincinnati; finishing his career flying the B767/757. Following retirement to Gainesville Florida, Sam studied French, philosophy and photography. His photography won awards in the Gainesville newspapers. Sam’s thirsts for knowledge lead him to become a sommelier where he taught wine classes in the Gainesville area. Ever the adventurer, Sam also loved anything outdoors. He was an avid skier and loved hiking and camping in the Rockies. He had an incredible zest for life. There wasn’t a party he wouldn’t attend or host, fine wine he wouldn’t drink, a friend he wouldn’t help, book he wouldn’t read, a gourmet meal he wouldn’t relish. Sam is missed by all who knew him. Survivors include his wife of 36 years Barbara Marsh Gamble, son Russell Gamble and his wife Rachael and their two children Simon and Rebekah, his daughter Claire Elizabeth Gamble, and his brother, Gene. ......................I am attaching information regarding DL Captain Sam Gamble in an effort to help our dear friend Barbara Gamble through this very difficult time. Please find the Obit information as well as two pictures. Please feel free to either select one of the two or use both. "There is no better time than right now to be happy. and dance like no one is looking." ..................... I would like to inform some of the pilots and Delta employees who might be interested. There will be a military funeral for Samuel Gamble at the Bay Pines National Military Cemetery in Bay Pines, Florida on Monday, May 8th at 10AM. A reception will immediately follow at the War Veterans’ Memorial Park which is adjacent to the VA complex in Bay Pines. There will also be a memorial service held at the Heritage Unitarian Universalist Church in Cincinnati on Saturday, June 3rd at 1:30PM. 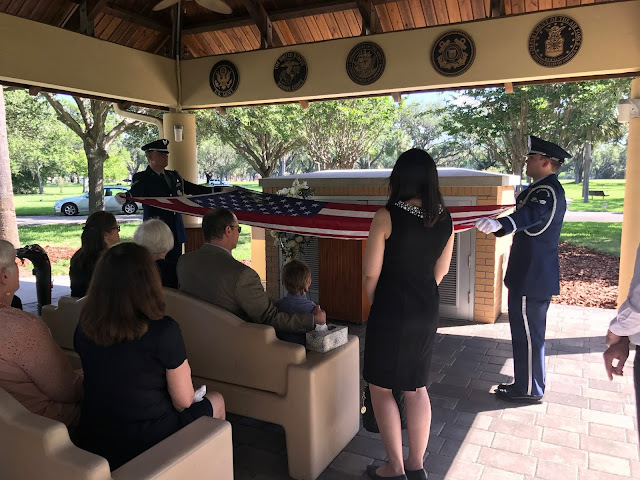 Sam Gamble was laid to rest today, May 8, in Clearwater, FL at Bay Pines National Military Cemetery. 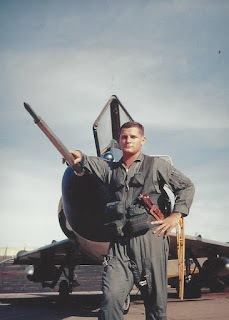 He deserves special honors for his well-earned DFC while flying in Vietnam. The picture is of John Eckert, Barb Gamble, and Jim Satory.